For her debut Hermès collection, Nadège Vanhee-Cybulski harkened back to the brand’s humble beginnings as a bridle and harness maker. 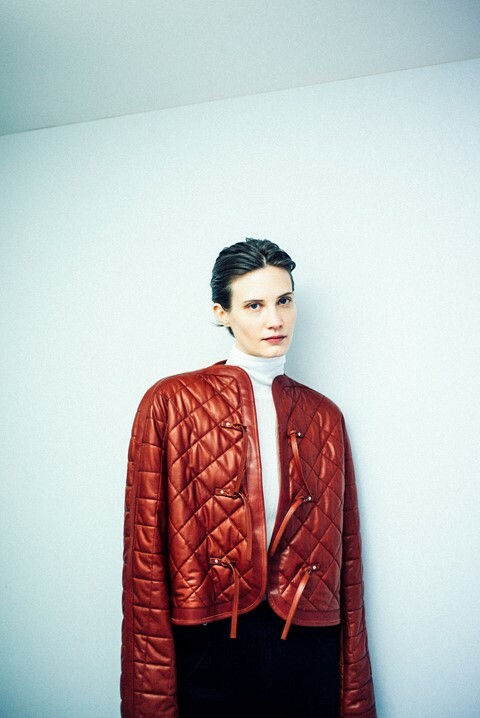 High turtle necks were paired with rigid collared leather coats while equestrian-style jackets rendered in quilting, velvet and fur were teamed with loose, darted trousers. Button-up shirts in popping red and deep navy were tucked in to high waisted, belted slacks – finished with silk scarves. 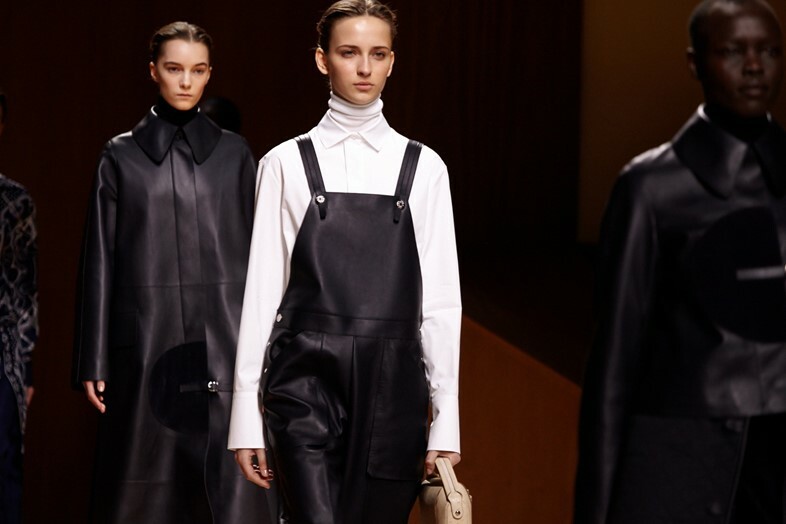 A white turtle neck, closed-collar shirt combination with a black leather dungarees layered on top, which crossed over at the back.